It's summer in Kentucky, the low ceiling of August pressing down on Charmaine Peake and the town of East Winder. Charmaine and her mother get along better with a room between them, but they've been forced by circumstances to relocate to a tiny trailer by the river. The last of a line of local holy men, Charmaine's father has turned from prophet to patient, his revelation lost in the clarifying haze of medication. Her sure-minded grandmother has suffered a stroke. At church, where she has always felt most certain, Charmaine is tested when she uncovers that her archrival, a sanctimonious missionary kid, carries a dark, confusing secret. Suddenly her life can be sorted into what she wishes she knew and what she wishes she didn't. 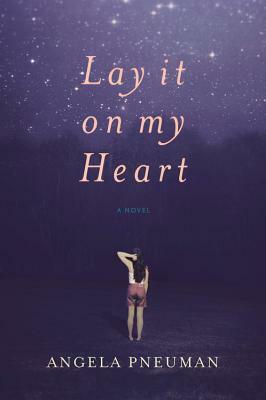 A moving, hilarious portrait of mothers and daughters, Lay It on My Heart brings us into the heart of a family weathering the toughest patch of their lives. But most of all, it marks out the seemingly unbearable realities of growing up, the strength that comes from finding real friendship, and the power of discovering—and accepting—who you are. "Charmaine Peake is struggling: with her mentally ill father, her difficult mother, the boy on the bus, her homemade purse and her relationship with God. Pneuman captures the voice of adolescence and the uncertainty of faith in this endearing novel."